Image from page 15 of Pan American World Airways Annual Report for 1981. 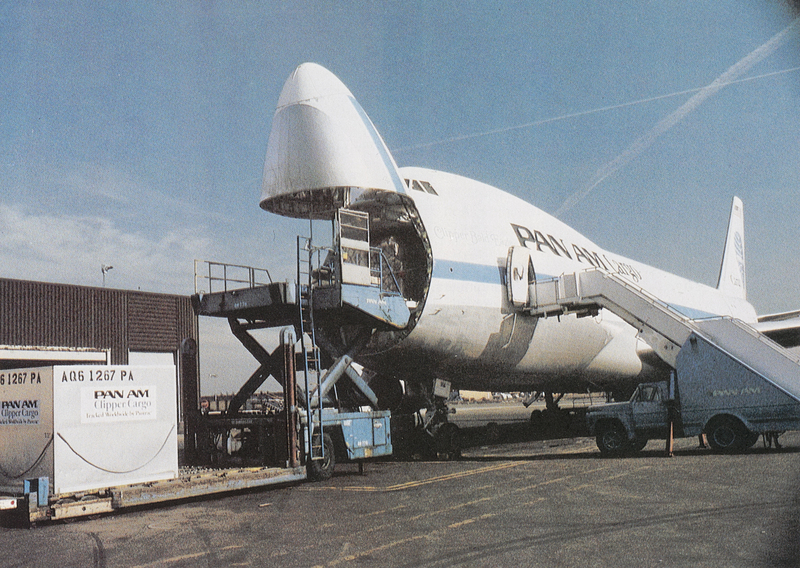 Caption reads: "A container is about to be loaded into the nose of a Pan Am 747 freighter. The airline operates six of these all-cargo aircraft, each with a capacity of 100 tons." This item is part of object asm03410021630015001. To request this item, use this number to search for it in UM Libraries' Digital Collections. Pan American World Airways, Inc., “A Clipper Cargo jet freighter being loaded. 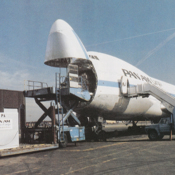 Nose of the 747 opens for easy loading.,” UM Libraries Digital Exhibits, accessed April 23, 2019, http://scholar.library.miami.edu/digital/items/show/1666.